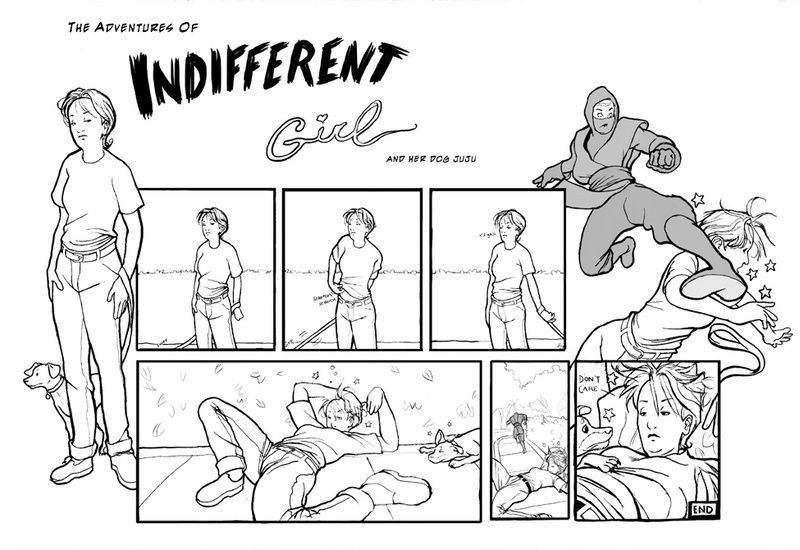 Joe Quinones' interweb-log: A Long Time Ago... Indifferent Girl! 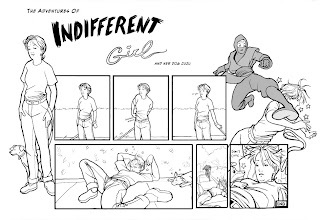 A Long Time Ago... Indifferent Girl! Thought it about time I revive this long-dormant feature to the ol' blog. Above is one of my first post-high school comics from my junior year at RISD back in 2002. At the time, I had just discovered Frank Cho's work on Liberty Meadows. I'm sure you can see the influence (blatant ripoff). More oldies' to come! I always liked how surprised the ninja looked. Ah, good times.